Wisconsin Great Northern's dinner train has boarded passengers and dinner service has begun. Train is about to depart the Trego depot. 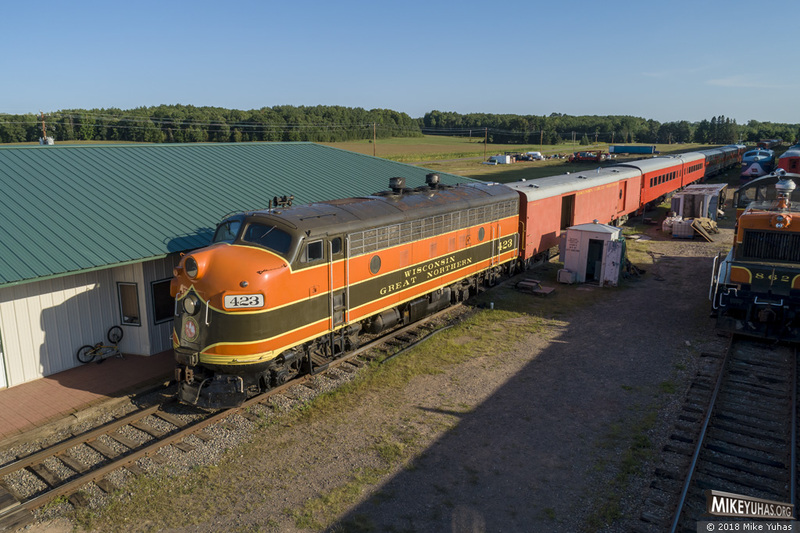 The railroad runs passenger excursions five nights per week, year-round.